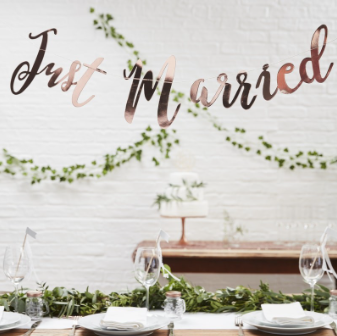 This gorgeous rose gold Just Married Backdrop is the perfect decoration for your wedding day! 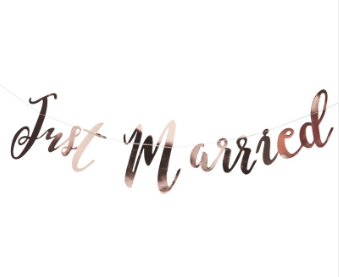 The stunning scripted font will look beautiful at all wedding venues and sure to be loved by all. The unique rose gold metallic backdrop could be hung against a wall at the wedding reception or even behind the top table. Backdrop measures: 1.5m in length and 24cm (H).